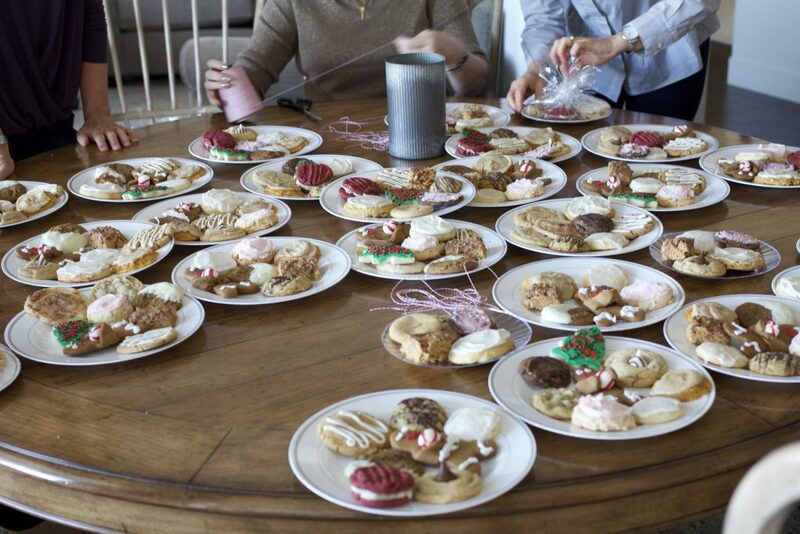 For the past several years, I’ve hosted a cookie exchange with my dear friend Melinda. 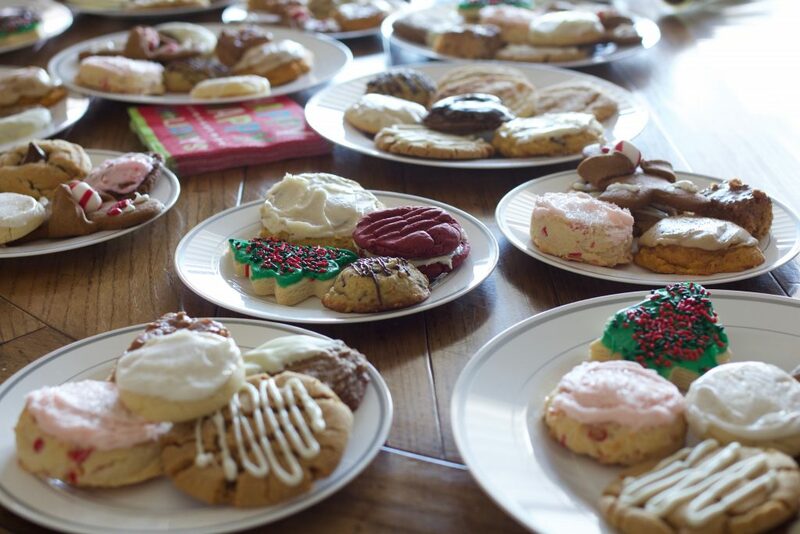 This year, we changed it up a bit and asked our friends who participate in the exchange to donate homemade cookies to The Road Home, a local shelter for families. Our Light the World Cookie Exchange was a huge hit with all of the women who baked and donated, as well as the families receiving the home made cookies! 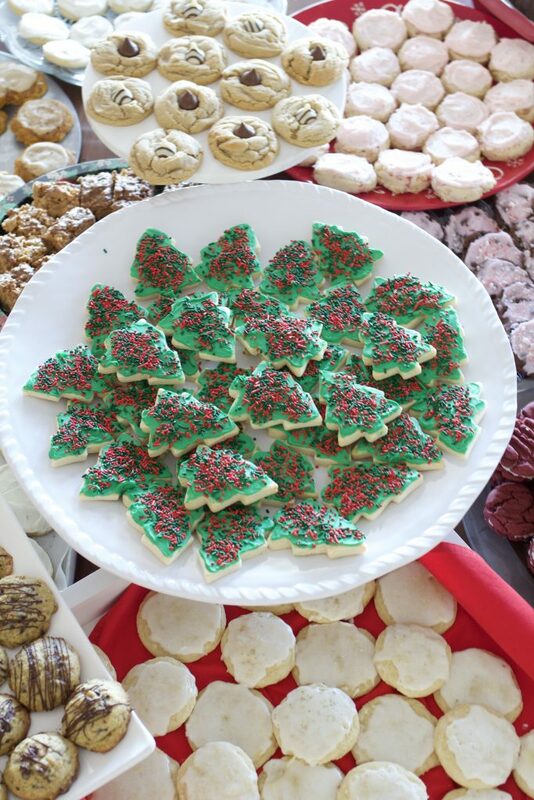 We are looking forward to hosting our annual cookie exchange in December! This year we are changing up our party a bit. 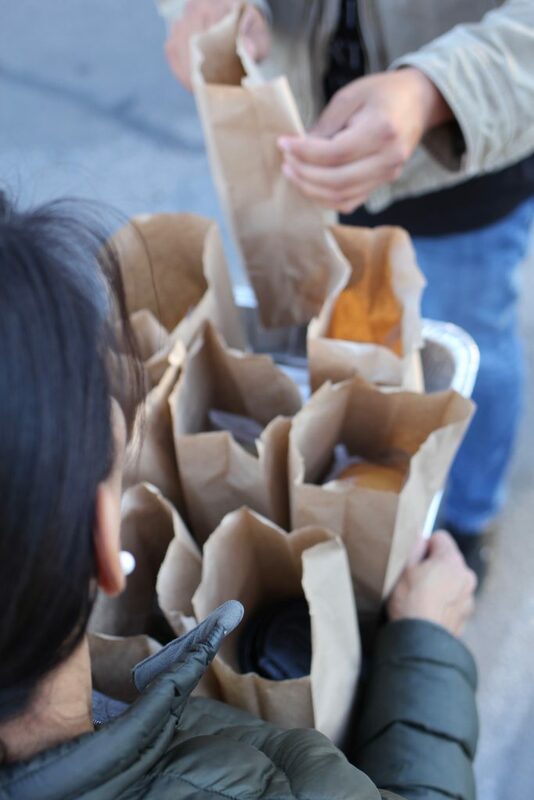 We will still serve lunch and enjoy a cookie (or two or three)! 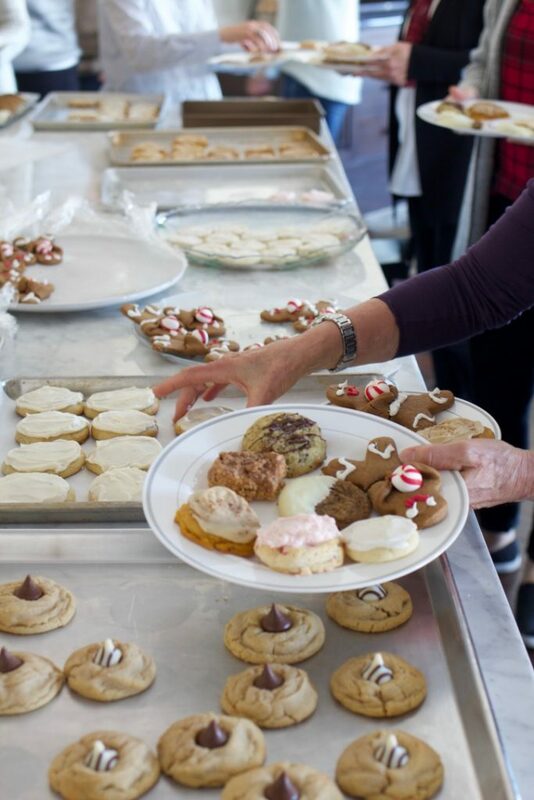 Instead of taking home cookies, we will be packaging up cookies for homeless families at the Road Home in SLC. After serving meals at The Road Home, we have discovered they are so grateful for homemade treats, which they only receive on a very limited basis. We have been blessed with an abundance and know this will be a sweet opportunity to share our baking talents with those who don’t have the means to bake for their families! BAKE and BRING- 3 dozen homemade cookies. LUNCH- we will be serving a light lunch, soup, salad, rolls and sample cookies. PACKAGE and DELIVER- If you would like to help deliver, after lunch we will deliver the cookies to the Road Home Shelter downtown! Please leave your littles at home! We would like to share on social media for the #LightTheWorld campaign. We’ll be taking photos of the cookies and our group putting together plates of homemade cookies as an idea for giving on day 21 “For I was an hungered…” If you prefer not to be photographed, please let us know ahead of time! Mostly, we will be sharing photos of the cookies and our hands putting the cookies onto plates or bags and tying up ribbons. Hope to see you on December 6th for lunch and giving! We called the Road Home and they suggested bringing the cookies to their Midvale location, because they house families. 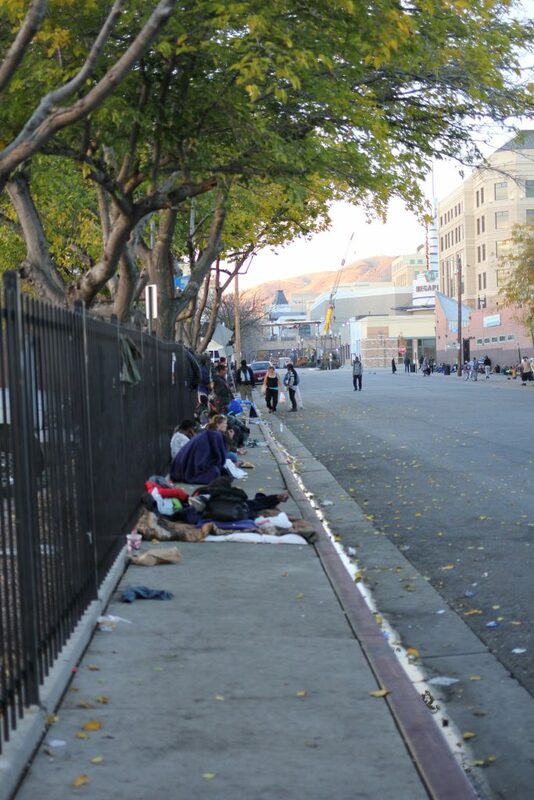 In Salt Lake City, there is also a location downtown that also houses single male and female guests, where food donations are always welcome. 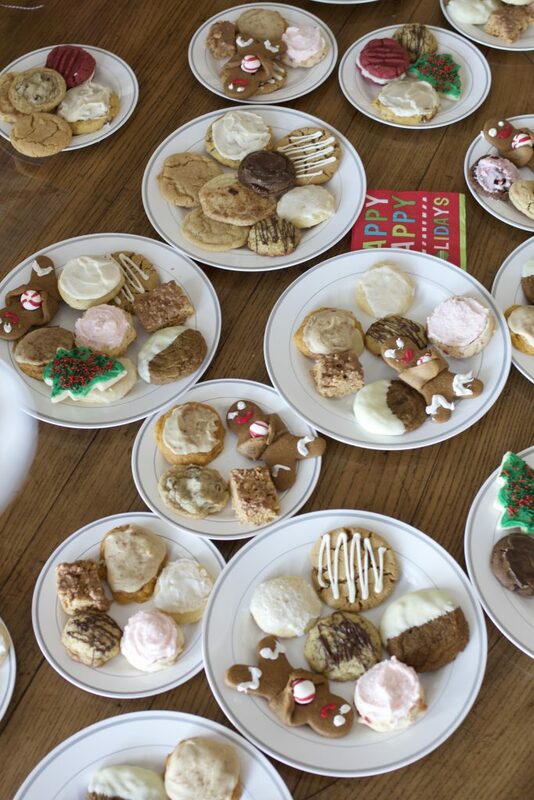 In the end we plated up 130-140 packages of cookies for delivery. A sweet experience in every sense of the word! 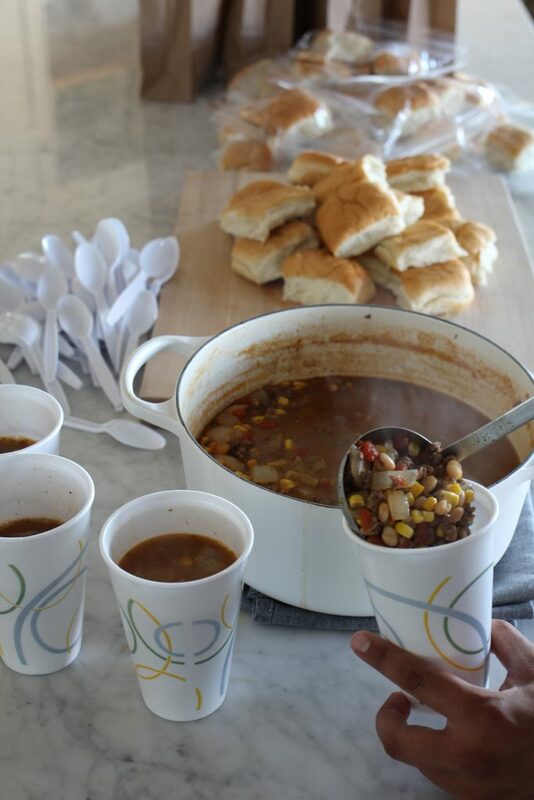 A couple of other ideas for sharing light by feeding the hungry are to make this Sharing Soup and give to people in your community who are in need. It requires very little planning, a few hours, a few ingredients and can be done with a small group, such as a family or two. We loved this experience last year. 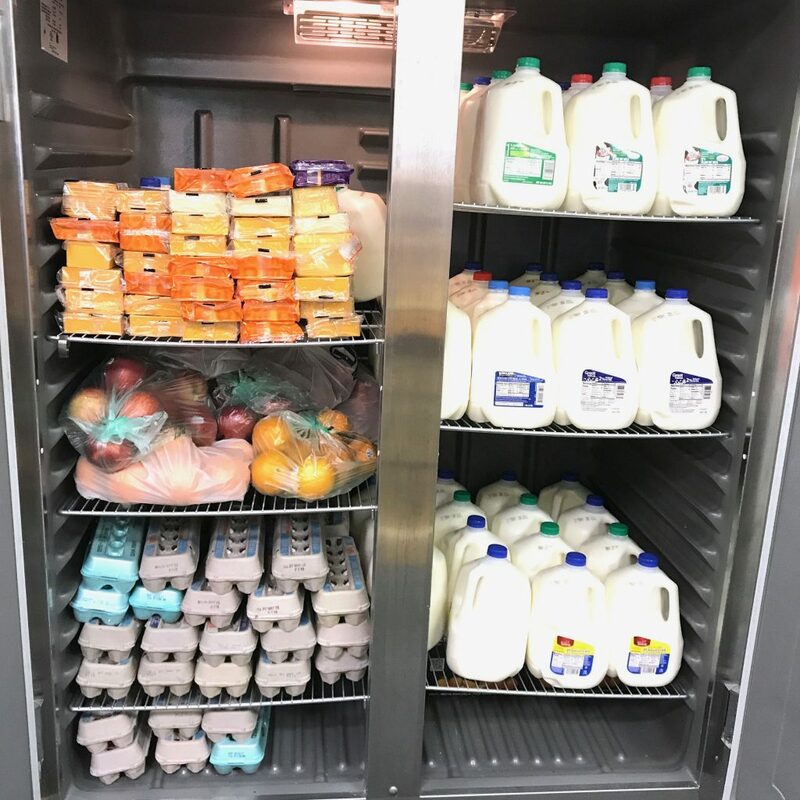 Our neighborhood also participates in a simple project called “Fill the Fridge” at a local community food pantry, The Center of Hope. It is operated by an organization who provides basic food needs such as milk, eggs, cheese and fresh fruit for about 40 families. The Center of Hope collects clothing and other non perishable food items as well. 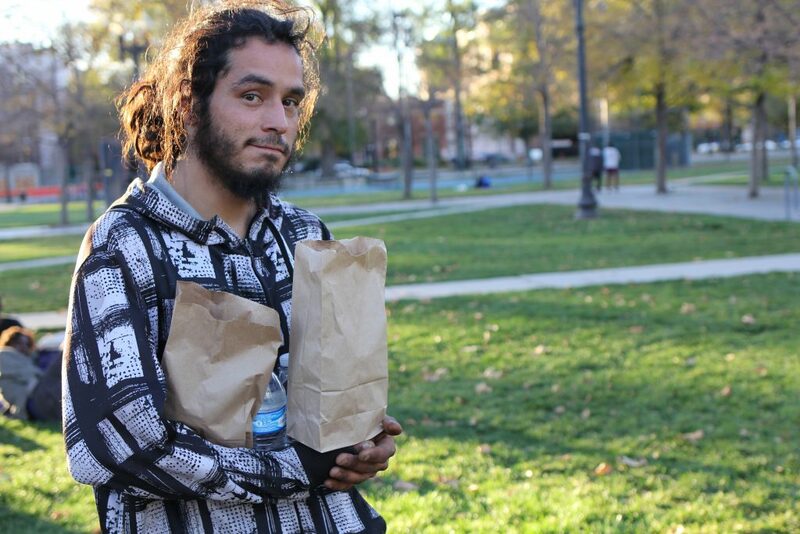 Once a month we gather as a neighborhood and drop off food donations on a weeknight. 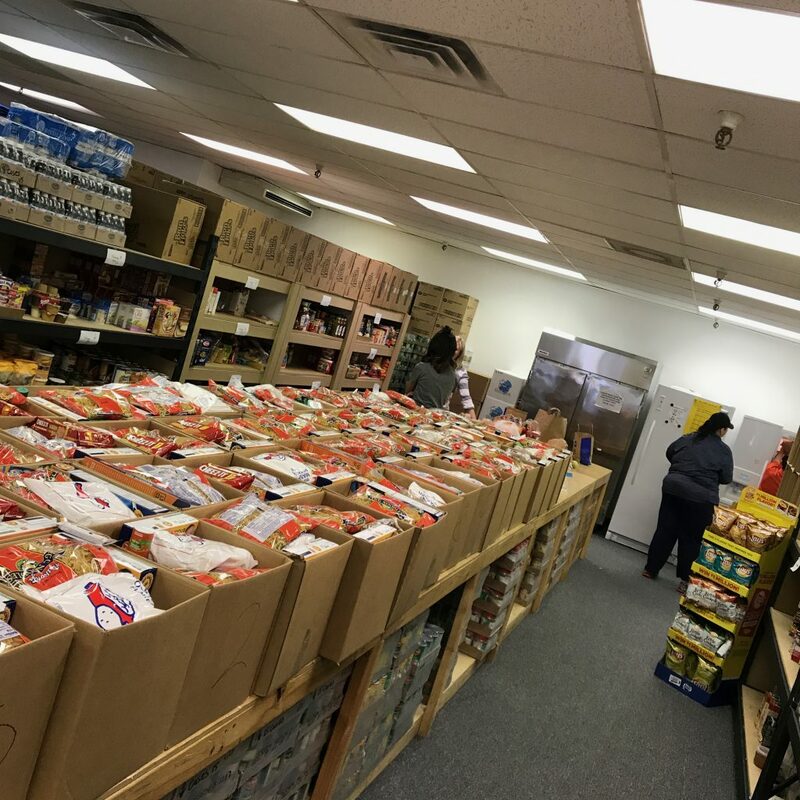 Later in the week on a designated Saturday the food pantry is open for pick up. It is quick and convenient, and such a simple way to make a difference and allow our children to help as well! If you would like other suggestions as to how to help, they can be found here. I love this theme. Food, as you know is something that draws us together as families, loved ones and even with strangers. It is the universal gatherer. Today, as we think about all we have been given, I hope we can take the time to reach out and give to someone who is in need. It’s a simple task. 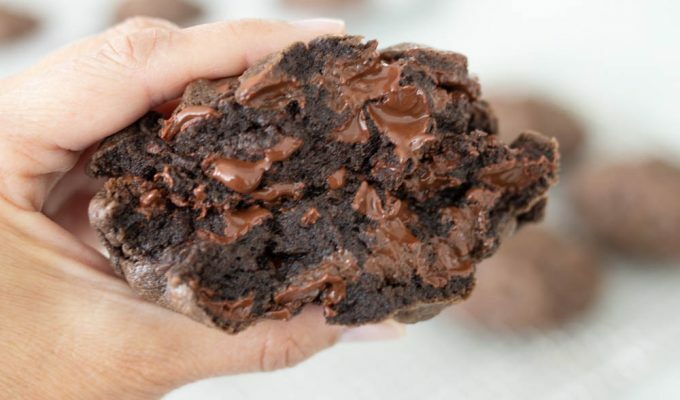 Bake some treats. Make some soup. Take a donation to the food bank. Then come back and let us know how you have “fed the hungry”. Thanks for being a light! I have had this on my computer for quite some time and I LOVE what you are doing. I have a few questions. How many women are in your group? How many dozens of cookies did you make? I have started a 60+ group at our church and we meet once a month. Each month everyone brings an article of clothing (or more than one) for the Road Home in Midvale. I was thinking of doing this cookie exchange for this coming Christmas. Kudos to what you are doing! We had about 20 women at our cookie exchange. Each person was asked to bring 3 dozen cookies. 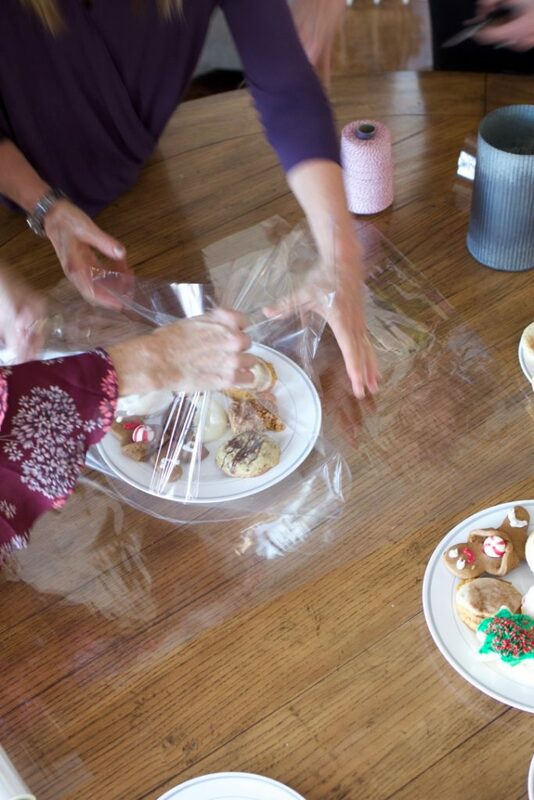 We enjoyed a simple lunch together – soup, rolls and salad, then plated the cookies and wrapped with cellophane for delivery. We all agreed that this was better than taking home a bunch of cookies for the holidays. So much fun to give a homemade gift to others who appreciated our gifts so much. If you host a cookie exchange, take pictures! I’d love to see how your efforts helped others.